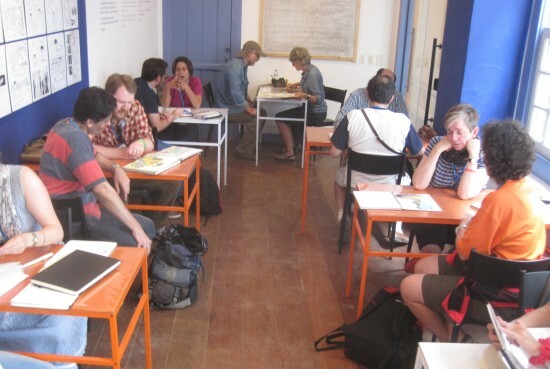 Fred Lynch (Associate Professor, Illustration) will be teaching a workshop and leading an event he created, The Big Crit, at the 7th Annual International Urban Sketchers Symposium being held this year in Manchester, England (July 27-30th, 2016). 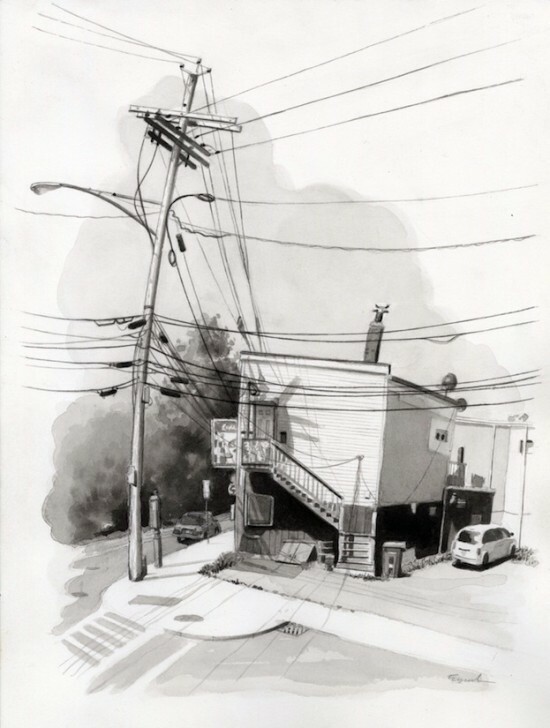 The term ‘urban sketching’ was coined by Gabriel Capanario who is a journalistic illustrator for the Seattle Times. The idea was to create a blog of his favorite topographical artists from around the globe. These artists became ‘correspondents’ and since 2008 the blog has grown exponentially, now playing host to a multitude of artists, illustrators, animators, designers, architects, and more. Lynch can trace his own participation from the beginning of the organization becoming the first New England correspondent in 2008. 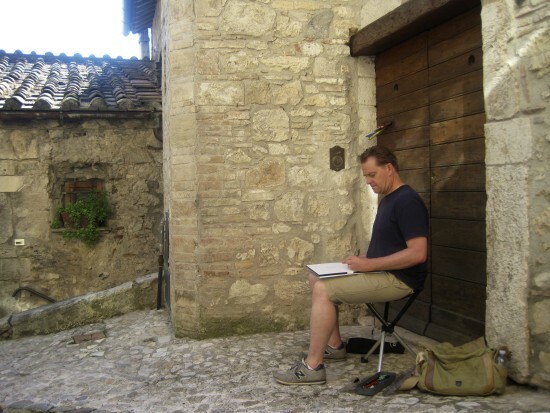 He subsequently became involved in the Urban Sketchers Education Committee, which supports the regional workshops and a yearly international symposium. The committee, comprised of seasoned educators, review proposals and oversee the non-profit’s educational planning and teaching practices. Lynch is currently working on several projects focused around on-site investigative and illustrative essays. 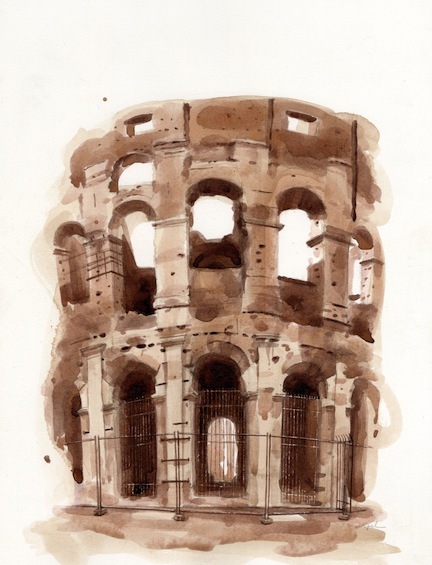 The first is entitled Drawings from the Road to Rome, which explores the central Italian region of Etruria. While closer to home Paul Revere’s Ride Revisited seeks to reconstruct, through contemporary scenes, the famous patriot’s ride from Boston to Lincoln on the eve of the Battle of Lexington and Concord. More information on the work of Fred Lynch can be found here. More information on Urban Sketchers can be found here.